After this cold Wisconsin winter I was extremely happy to have soft water and be able to wet a line. 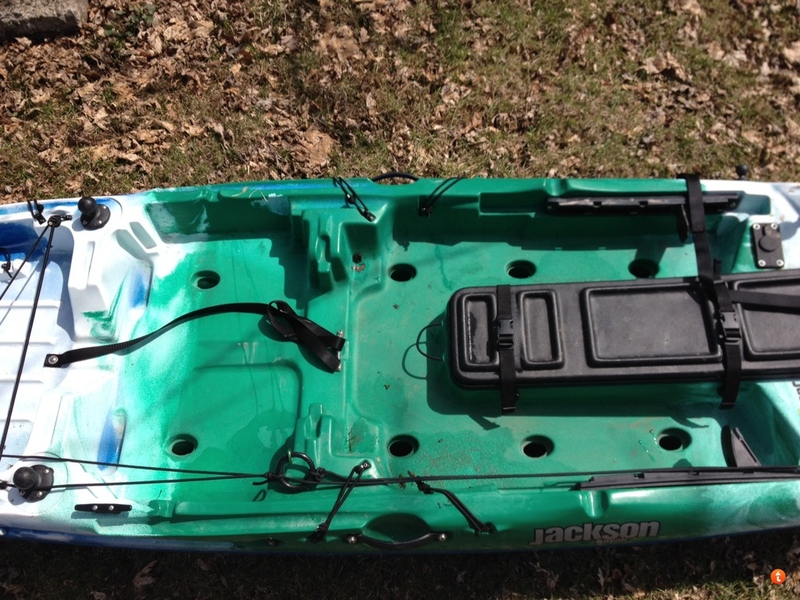 My kayak, a Jackson Cuda 12, was broke in last year and has traveled with me across the state fishing for bass and northern pike, to Kentucky for some Big Bass, and even Florida for the Yakangler/Kayak Fishing Radio Boondoggle! Needless to say I have spent many hours in it sitting and standing fishing to my hearts content. 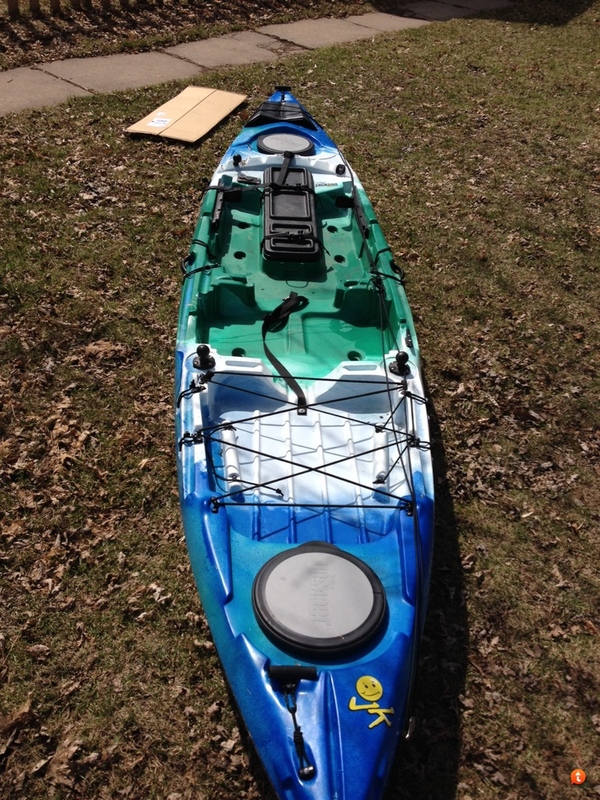 But there was something missing that could make the stealth of a kayak even better, something to cover up the noise of your feet, water bottle, or rod. 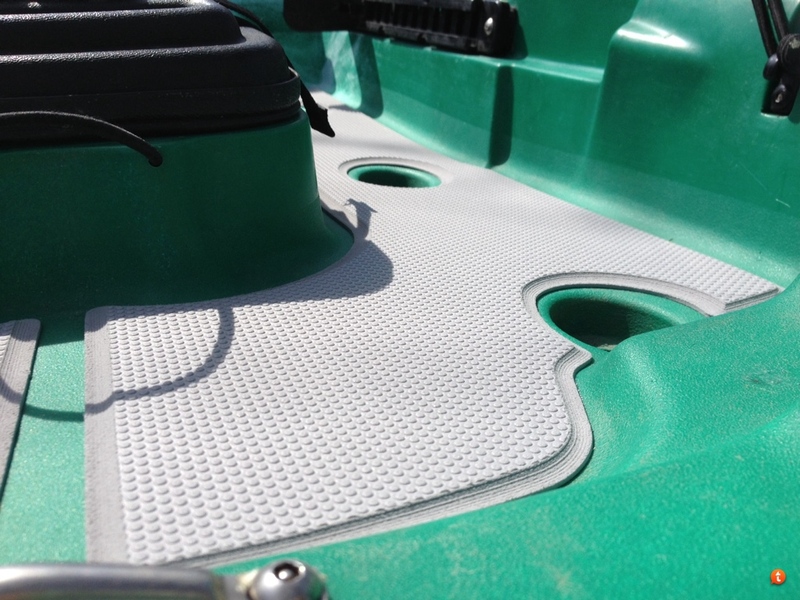 The answer to that is SeaDek Non-Skid Pad. After seeing pictures of their pads that friends of mine put on their yaks through facebook I decided I needed one! I ordered a plan gray pad which I figured would be nice on my feet after hours in the sun. The pads showed up in just a couple days from when I ordered them. The pads are soft, but strong. They will be perfect under my feet when I'm standing and fishing! The first decent weekend weather wise, they were going in! Installing the pads was a breeze! I scrubbed and cleaned the surface where I would attach them. After that I placed the in their locations and made sure every piece fit just right. Then I removed the film off the back about half way off the piece, and slowly placed the pad in the proper spot. I peeled a little more and laid the pad down, a little more and there it is, attached! I continued the process for the other pieces. They give you pads for many locations, under the seat, where you feet go, in front of the feet on the flat spaces. Once installed the pads stay in place, no sliding or moving at all. 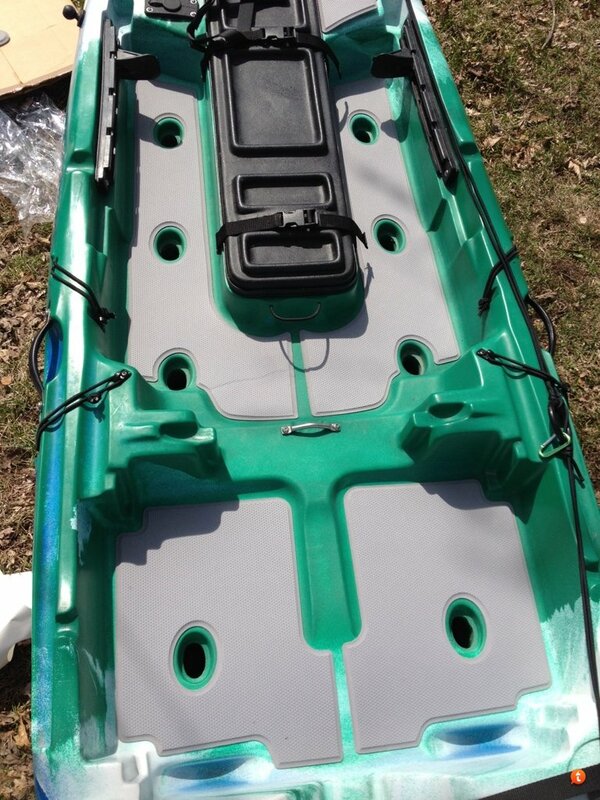 Now I can go into those tight kayak only places in complete stealth mode! Although starting to kayak fish in the summer of 2012 Spencer has fished since he was a kid. He fishes everything from small creeks to large lakes mainly targeting large and smallmouth bass, northerns, and anything he can convince to bite the hook. When he is not on the water he teaches choir at a middle and high school and teaches private piano lessons, and composes music. Spencer also loves working out and helping folks get healthy and fit! He lives in Neenah with his lovely wife, 2 dogs, and 4 cats. Should Kayak Anglers Try Yoga? Just awesome man. Great looking install.